Being hired to photograph a couples special day is a huge responsibility, even more-so when it’s in a totally different country. I have flown to some stunning locations to cover weddings. My favourite so far, would probably be a Spanish villa that used to be an olive farm, cobblestone courtyard, flowers all around, great people & some truelly stunning scenery. If you know a local photographer whom you like, ask them can they travel. Sometimes the photographer at your chosen destination venue may not speak fluent English & this can create a slow moving day. You both being relaxed & enjoying the day is the top priority. As part of our destination wedding packages, we offer an extra day of photos. This is normally the day after the wedding & is done the 2 or 3hrs before sunset. 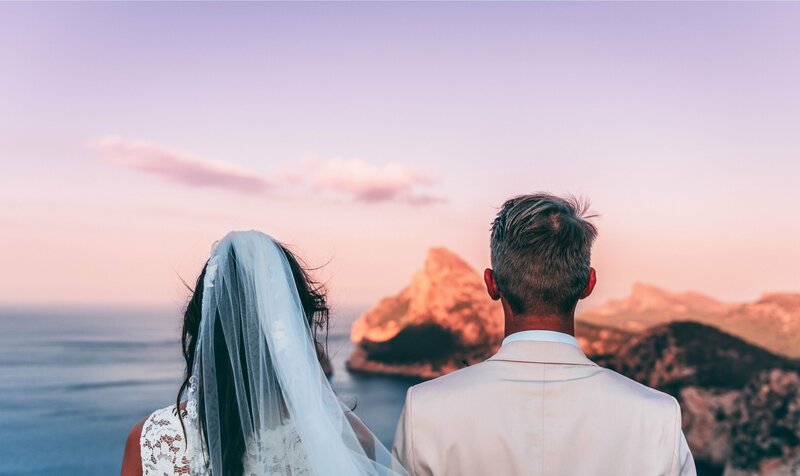 The last destination wedding we done was in Majorca & the newly weds (and myself) ended up in the sea for some awesome images above and below the sea. So much fun. ← Questions To Ask Your Photographer, BEFORE you book.